My choice, if you can call it that, to identify as black is much different from that of, say, my father or even my own sister, whose skin is at least three shades darker than mine. The eagerness with which people gravitate toward me is not shown to many of the other black people I know. These experiences led me to suspect that the breathless "post�racial" commentary that attached itself to our current president had as much to do with the fact that he is biracial as with the fact that he is black. His blood relationship to whiteness and its attendant privileges serve as a chaser to the difficult-�to-�swallow prospect that a black man might achieve ownership of the Oval Office. Anna Holmes, "America's 'Postracial' Fantasy," The New York Times Magazine, June 30, 2015. page MM13. http://www.nytimes.com/2015/07/05/magazine/americas-postracial-fantasy.html. 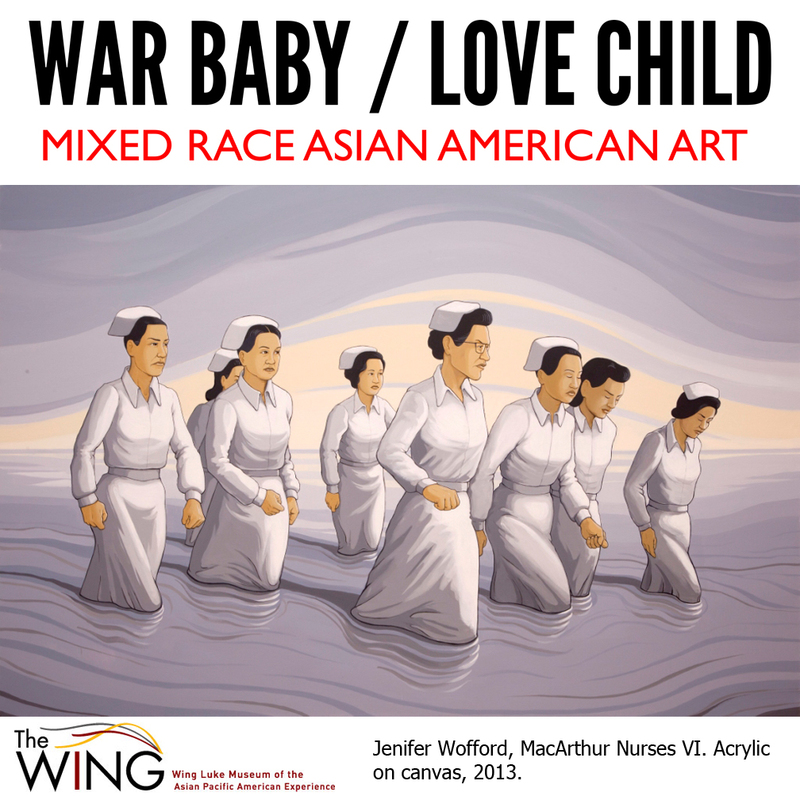 …I must have had Dictée on the brain, because I thought of Cha’s work again a few weeks ago when I dropped by the DePaul Art Museum to see the exhibit War Baby/Love Child: Mixed Race Asian American Art, curated by DePaul and San Francisco State University professors Laura Kina and Wei Ming Dariotis. The exhibit is part of a larger project that features visual media produced by nineteen artists who hail from the rapidly expanding community of 2.6 million Americans (and counting) who identify as Asian American plus one or more ethno-racial groups. While the exhibit blurb explains that the show “examines the construction of mixed heritage Asian American identity in the United States,” this actually doesn’t do justice to its ambitious range, which not only investigates the historical origins of these identities (U.S. wars in Asia, colonialism, transnational adoption, the 1967 Supreme Court decision Loving v. Virginia outlawing laws against interracial marriage) but breaks down insidious present-day theories about “post-racialness,” while also featuring work by a younger generation of artists who seem to stay out of the conversation completely. 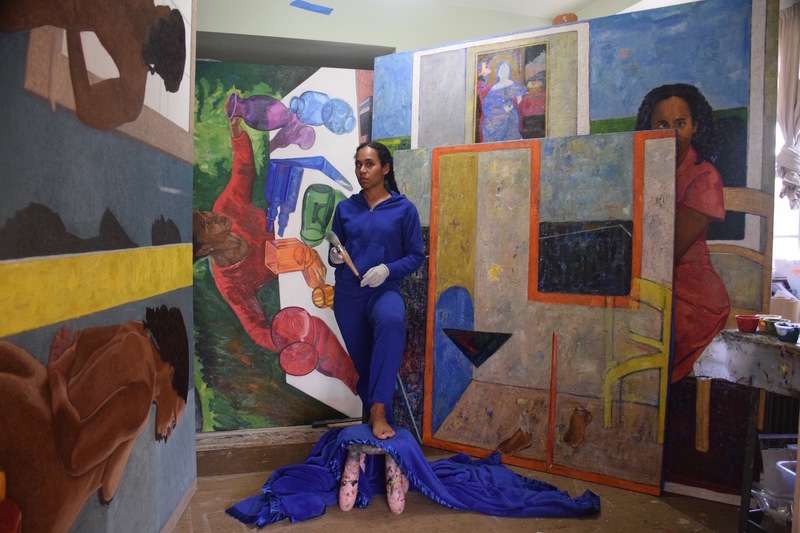 The exhibit War Baby/Love Child at the DePaul Art Museum highlights the work of mixed race artists who share Asian heritage in their identities. Curator Laura Kina and artist Mequitta Ahuja joined AMp hosts Brian Babylon and Molly Adams in the studio this morning and discussed their personal family lineage, the stereotype stamped on mixed children whose roots came from Asian countries where the United States was involved in, and how kinship is formed among “war babies” through artistic expression and exhibits.